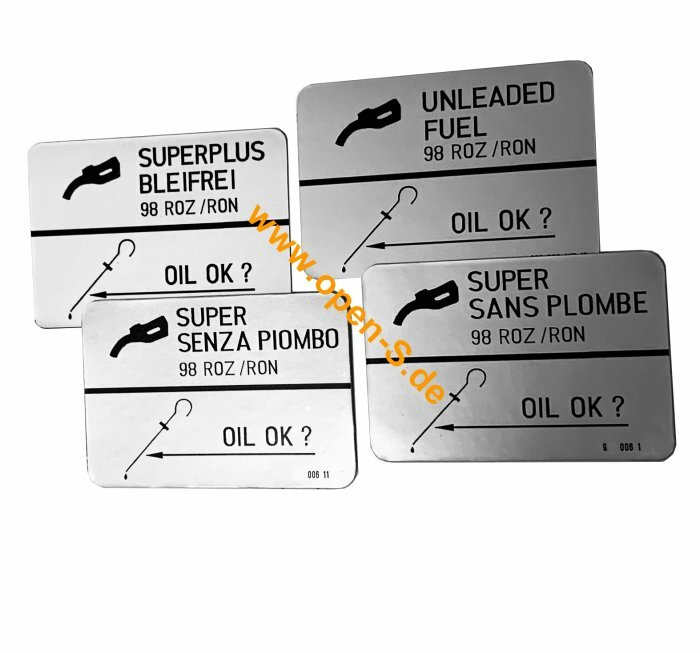 Used under the fuel filler flap of various vehicles, from model year 1987 onwards. Available for all Turbo-WLS and the 964 RS - Also available as 95 ROZ/RON version. International and national versions available (see picture). Thick, padded material, like the original from the time!